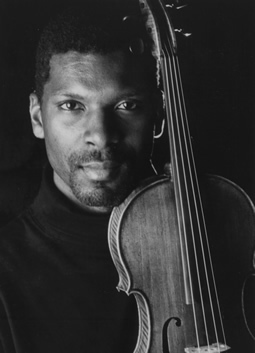 Amadi Azikiwe, viola, has performed in Cleveland, Los Angeles, San Francisco, Philadelphia, Toronto, Tokyo, Hong Kong, Tel Aviv, New Delhi, as well as throughout the Caribbean and South and Central Americas. In recent seasons he has performed as a guest violist with the St. Lawrence, Arianna, Corigliano, Anderson, Chester and Harrington String Quartets. He has taught chamber music at the Brevard Music Center, the North Carolina School of the Arts, the Mammoth Lakes (CA) Chamber Music Festival, the Tennessee Governor’s School for the Arts and the Aria International Summer Academy in London, Ontario.